How do I get started in making health care decisions for myself or my loved one? Get started by including your primary care physician in the decision-making process. He or she can tell you about your physical, mental, and emotional well-being so that you can start to understand what care will be the most beneficial. What are the different levels of care available? Skilled nursing and rehabilitation centers are for those recovering from illness, injury, or surgery. Many patients need additional medical and rehabilitative therapies before successfully transitioning from hospital to home. In addition, some residents choose to make a skilled nursing center their permanent home. In this case, it usually means residents need medical supervision and support that can no longer be provided safely at home. Many times patients who transition home from a hospital or skilled nursing center still need some medical and rehabilitative support at home. 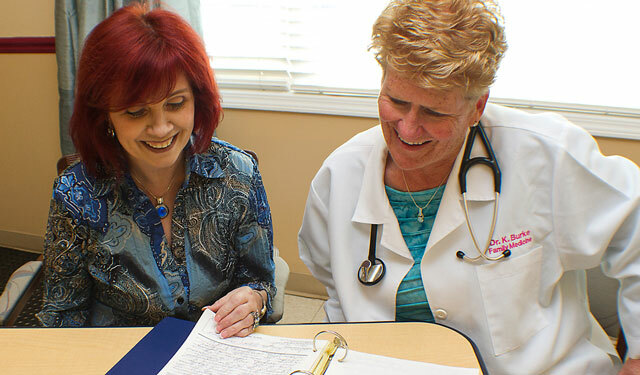 Home care can provide this assistance along with medication management, education about a newly diagnosed disease, lifestyle changes, and IV care. Assisted living centers are designed for those who still want to retain their independence but need some assistance with taking medication, bathing, dressing, or meal preparation. Some assisted living centers are designed especially for patients with Alzheimer’s disease. Programming is focused on maintaining skills and retaining quality of life. Hospice care is available for patients diagnosed with a terminal illness. Hospice can provide the physical, emotional, and spiritual support to patients and their families to help work through this challenging time. What should I look for when choosing a skilled nursing and rehabilitation center? For short-term stays focused on rehabbing a patient home, ask the center about its successful outcomes treating patients with your or your loved one’s illness, injury, or disease. Ask about the staff’s knowledge about post-hospital care. Tour the center for cleanliness, friendliness of staff, and amenities that are important to you. Ask to sample food and visit with patients similar to you or your loved one. What should I look for when selecting an Alzheimer’s care facility? When searching for care for a loved one living with Alzheimer’s disease or related dementia, the focus should be on finding a location that has a warm, peaceful, and safe environment. Ask what type of programming is offered and if it is customized to each individual. How do they handle residents who are no longer interested in eating, or those who wander or exhibit behavior such as depression? Ask to speak to current family members. Visit the center and watch how the staff interacts with the residents. Check the resident appearance and grooming, as well as the cleanliness of the facility. What should I look for when selecting a hospice care provider? Hospice providers should ensure that your loved one spends his or her finals days in comfort. Ask the agency about staff knowledge. Do they have volunteers and counselors trained for your specific needs? Are they focused on meeting your loved one’s and family’s wishes? Will they provide support for mind, body, and spirit? Do they have testimonials from satisfied families? Can you speak to them? What should I think about when moving a loved one into a long-term care setting? Making the move to a long-term care setting can be one of the most difficult decisions you make. To help you and your loved one get acquainted with the center, make sure you discuss these items with the health care providers so they can help make the transition as smooth as possible. What are the patient’s food likes and dislikes? How mobile is he or she? How much can he or she manage their personal care and hygiene? What were his or her former living conditions like? What support did he or she have? What role does religion play in your loved one’s life? What are your loved one’s routines and habits, as well as hobbies? What about mental capacity? Does your loved one fear new surroundings? Does he or she socialize easily?